Canada’s latest pop offering, Kiesza, is well known for her multiple talents. As well as singing, dancing and songwriting, she’s a multi-instrumentalist, pageant queen, sailor and joined the reserves of the Royal Canadian Navy. Yet with this ‘jack of all trades master of none’ attitude, it makes you wonder how dedicated to a pop career she really is. If there’s one thing Kiesza has mastered, it’s the club banger. You’ve no doubt already heard her big three singles: Hideaway, Giant In My Heart and No Enemiesz. That they all sound incredibly similar is a disappointment; that the latter is one of the best tracks of the year is no overstatement. It’s a sound that harks back to the heydays of 90s dance: big beats, big vocals and big hooks. The chorus of “we could all fall in love together” is exactly the sort of uniting lyric that is guaranteed to have dancefloors filling up across the globe. Much of the album follows a similar formula. Vietnam slows the pace a little; The Love layers on some celestial synths; and Over Myself takes a leaf out of Disclosure’s book with its sparse production and big house chorus. 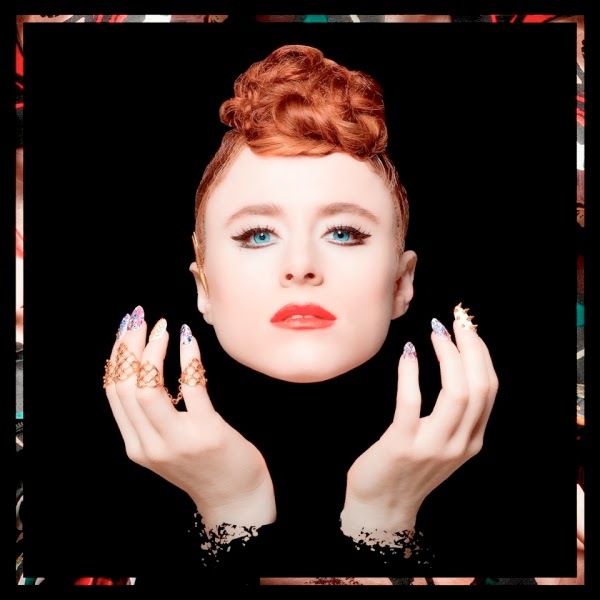 Kiesza has clearly found her niche and she has the personality to rise above the usual ‘guest vocalist on dance track’ fair, but equally she’s struck gold and mined it for all its worth. Hearing the same four to the floor beats and bass sounds repeated across a full album somewhat takes the sheen off some otherwise excellent tracks. You’ve basically already heard the best of what ‘Sound Of A Woman’ has to offer. Outside of this formula Keisza struggles. On Losin’ My Mind and Bad Thing she dips into hip-hop with guest features from Mick Jenkins and Joey Bada$$, but neither has the disco thrill of her best work. On mid-tempo tracks like So Deep and Piano, the clear R&B influences hint towards a budget Jessie Ware, but her thin vocal doesn’t have the soulful tone or emotive depth to pull it off. The same can be said of the ballads. What Is Love and Cut Me Loose strip everything back to just piano and vocal, the former a cover of Haddaway’s 90s classic that lazily highlights her already obvious influences. And on the title track, she attempts a big feminist power ballad but struggles to keep up with the dramatic production. Hideaway was one of the biggest hits of the year, seemingly out of nowhere. She may have improved on it with No Enemiesz but judging by the full album, success could be as fleeting as that rise to fame. Listen: ‘Sound Of A Woman’ is available now.